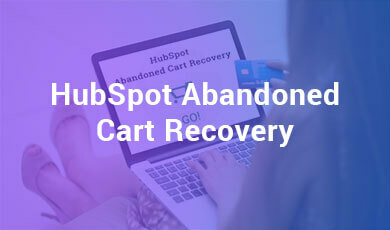 HubSpot Abandoned cart Recovery will help you to develop your client base again, which got dismantled due to some low marketing tactics like offers, discounts or coupons and thus increase sales. 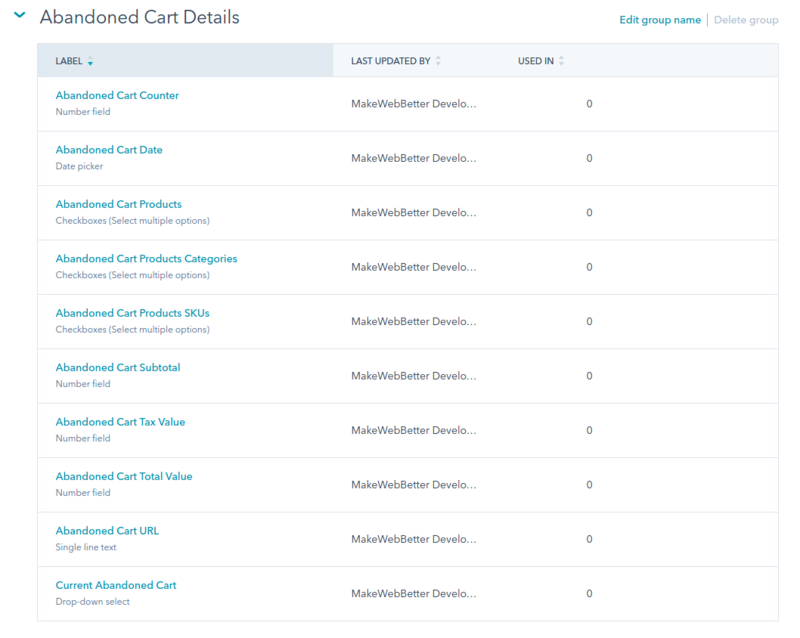 Through this plugin, merchants can easily recover all the abandoned cart orders which were once dropped or may be forgotten by the customer to get it purchased from your brand. HubSpot Abandoned Cart Recovery will manage all the abandoned carts of your store customers with ease. 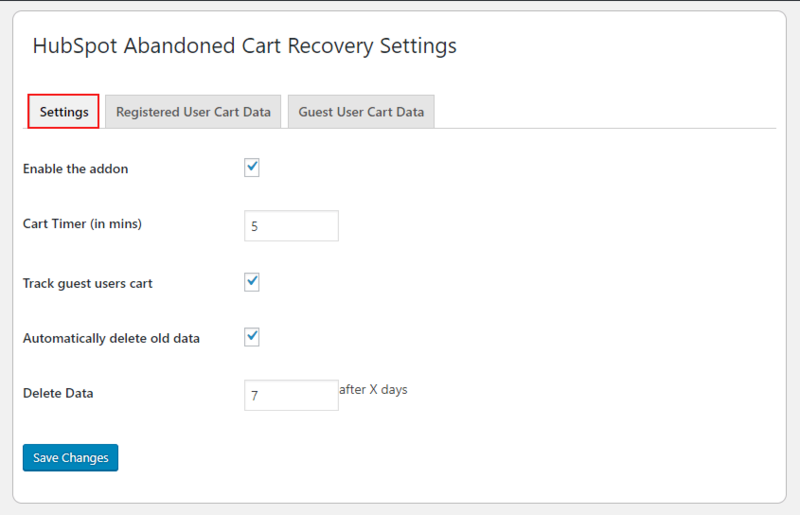 Checks and updates customers abandoned cart data automatically over HubSpot. HubSpot contact properties can be used to recover abandoned cart with automated HubSpot email workflows. This add-on enhances the store sales and the bond with the customer which was missing earlier. Through this addon, automated e-mail sending can be easily established.  NOTE:- If you want to use HubSpot Abandoned Cart Recovery, firstly you need to install parent Plugin HubSpot WooCommerce Integration Pro or HubSpot WooCommerce Integration by Makewebbetter(free version over wordpress.org). 1) Download the zip folder of the plugin HubSpot Abandoned Cart Recovery. 2) Once downloaded install plugin through browsing and activate it. Manual installation of the plugin is another option to install the plugin to your WordPress-environment. 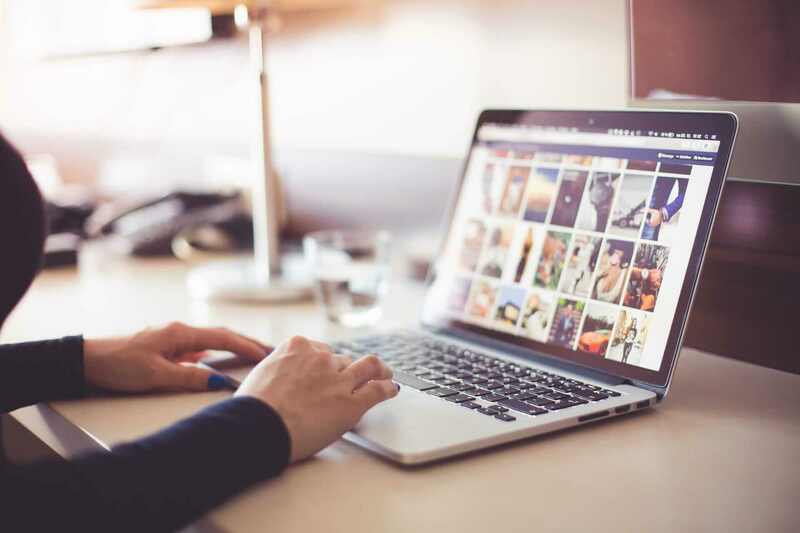 The manual installation method involves downloading our HubSpot Abandoned Cart Recovery Extension and uploading it to your web server via your favorite FTP application. 1) Upload the HubSpot Abandoned Cart Recovery folder to the /wp-content/plugins/ directory. 2) Activate the Addon through the ‘Plugins’ menu in WordPress. After successful installation of Addon using the admin settings. Enable Addon: In order to use the features of this add-on, the admin has to enable it first and save the changes. Set Cart Timer: Set the cart timer for the customers. The minimum value of this timer is 5 minutes. In this case, the customers abandoned cart data will be updated to HubSpot only if the specified cart timing set by admin has been elapsed. Track Guest User’s Cart: Enable to track data of Guest user’s. Automatically Delete Old Data: Enable to delete all old saved data from the cart. (i)Delete Data: Enter a number after that date the data will be cleared. Here, the admin can see all registered user’s cart data. Here, the admin can see all Guest user’s cart data. These are the group and contact properties which you will be able to see over your HubSpot account after enabling the extension. These best-practiced properties will hold all the information regarding the customers’ abandoned cart.